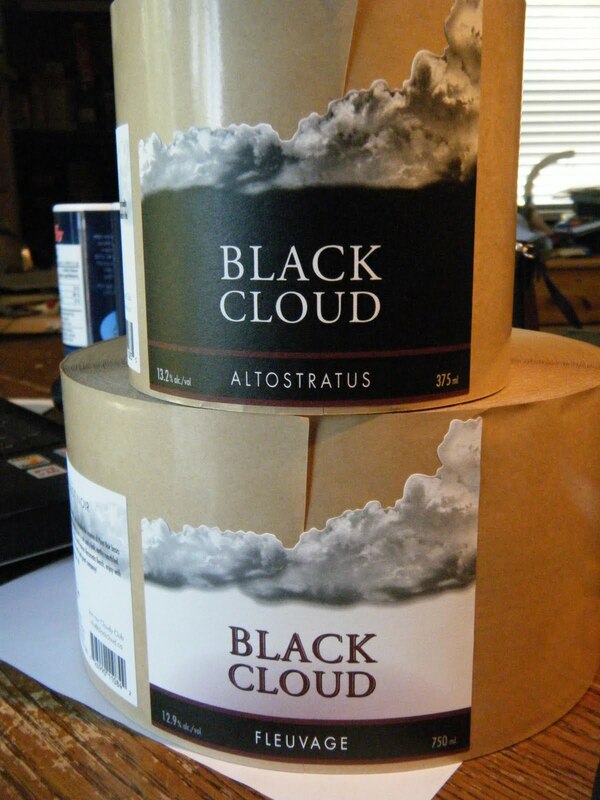 Black Cloud - Unmatched Pinot Noir: An Economy In Crisis: This is the Best TIme to Start A Winery. An Economy In Crisis: This is the Best TIme to Start A Winery. The other day a friend of mine questioned my sanity in light of the current global economic woes and my decision to establish a winery. I can understand this reaction. But it's a reaction built on emotion. An emotional response to stimuli that produces more questions than answers and creates fear of the unknown. It's a diet of information that suggests volatility and instability in institutions previously considered to be rock solid. Emotion alters our judgement. Rational discourse and strategic planning are difficult when running around the room pulling out your hair. What is happening right now sets the stage for years of growth. Predicting the period of growth may be difficult. Just when it will happen is tough to say. But when it comes around, a business and its' drivers must be prepared for growth. If you're still in damage control at that point (or even just afloat) your going to miss the ride. So starting a business at the bottom of the economic cycle isn't such a bad thing. It's important to be prudent, maybe even frugal, and make sure you're scalable. We're starting shoe-string and with such a small inventory that I'll be able to hand-sell it myself. In fact, that's part of the plan. And without a plan, how do you know if you've screwed up or not? Bad time to start a winery? I don't think so. Bad time to have a winery with a bloated inventory, no viable marketing plan and enormous debt? I think so. In our own backyard here in the Okanagan Valley, I think we're going to see some consolidation. Some of the bad actors will either merge or be bought outright. There will be deals to be had. Prices haven't dropped too much yet but they will as too much value is being attached to non-existent good-will. So, my friend, my state of mind is not one of questionable mental health. Sure, I'm crazy.